When classic artists and illustrators turn their attention to maps it’s going to go one of two ways. Either you get some sort of self-absorbed abstract bastardisation of a map…or you get the sort of beauty that Katushika Hokusai produced. 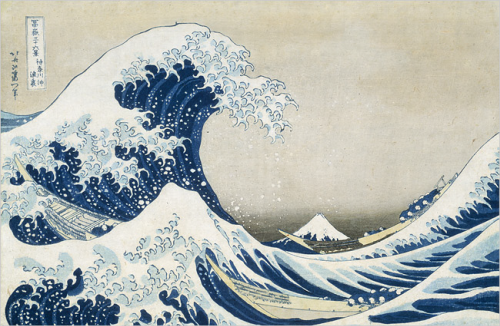 Hokusai painted ‘The wave’…the classic iconic illustration possibly only surpassed in reproduction by Munch’s ‘Scream’. Hokusai is arguably the most widely known Japanese artist in the west and he was prolific. His woodblock prints are exquisite and he’s widely known for his ’36 views of Mt Fuji’ from the early 1830s of which the wave was part (Mt Fuji is in the background). During his long and distinguished career, he turned his canvas to virtually every theme and style. Here, during the latter years of his life he created a superlative birds eye view of China. Let’s remember, this is the mid 1800s and there is very little evidence that Hokusai had even been to China yet he was able to turn his hand to the technique to perfection. He respresented many of China’s most important landscapes and places. He even managed to include a good portion of the ‘Great Wall’ and all in a perspective view with mountains standing impressive throughout. This is almost plan-oblique since there’s no hint of a vanishing point. A fantastic piece of work by a fantastic illustrator and artist. 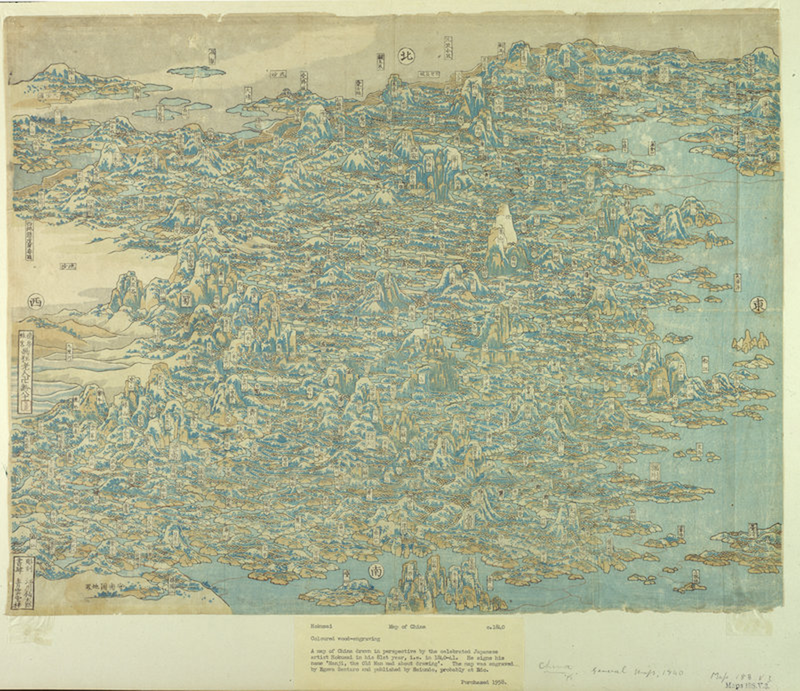 More of Hokusai’s illustrations including maps can be found here.